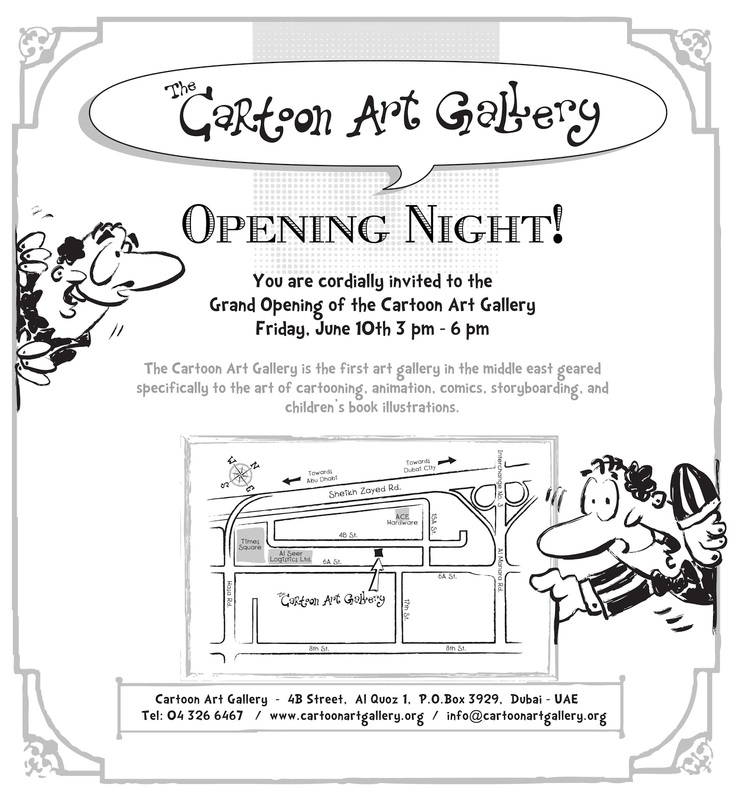 We would like to announce the opening of the Cartoon Art Gallery, the first of it’s kind in the Middle East. The gallery exhibits works that are influenced by cartoon, animation art, illustrations and comics. Every month, we will be presenting different cartoon related exhibitions from local and international artists. Our first exhibit is by Melvin Mathew called “First Exhibit”. Melvin obtained his Masters in animation from San Francisco and since his return to UAE, Melvin is trying to encourage young artists to overcome convention and challenge themselves in the field of animation and cartoon. Our goal is to provide space and opportunity for cartoonists in the region and around the world to express and display their work. We hope to see you soon, drop by and say hi!